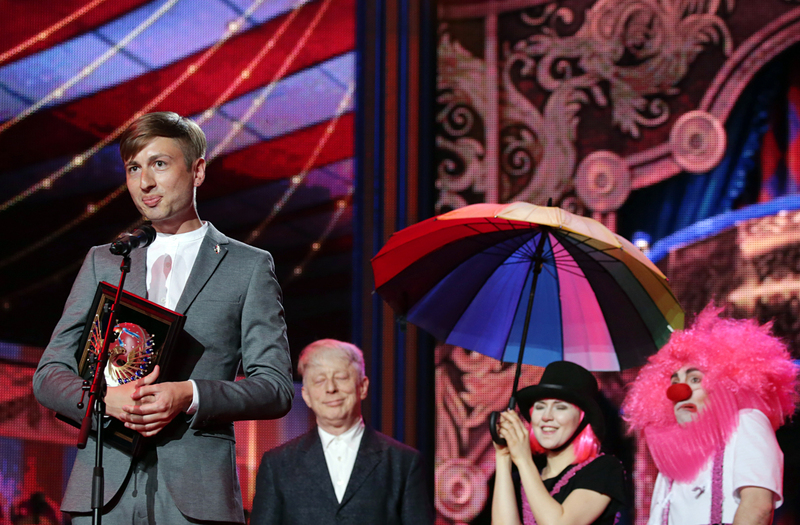 Composer Ilya Demutsky accepts an award for Best composer for A Hero of Our Time ballet (Bolshoi Theatre) at the 2016 Golden Mask award ceremony at the Stanislavsky and Nemirovich-Danchenko Moscow Music Theatre. Ilya Demutsky named European Composer 2016 for his score of "The Student." Composer Ilya Demutsky has won the "European Composer 2016" nomination for his score of Kirill Serebrennikov's film The Student. The European Film Academy announced the first 2016 winners on Nov. 17. Demutsky is a 33-year-old composer and conductor from St. Petersburg. In 2007, he won a Fulbright scholarship to study to at the San Francisco Conservatory, where one of his teachers was composer and conductor John Luther Adams, winner of the Pulitzer Prize for Music. Demutsky has written symphonic poems, several operas and film scores. In 2014, he composed the music for the ballet Hero of Our Time, which Kirill Serebrennikov staged at the Bolshoi Theatre. In August 2016, The Student became the only Russian film that the European Film Academy long-listed for the 2016 European Film Awards. However, the film did not make the short list. Previously Serebrennikov had directed the stage production of The Student, which is based on a play by German playwright Marius von Mayenburg, at the Gogol Center. The movie was filmed later. Serebrennikov told RBTH that the play's success inspired him to make the film version. "The subject matter concerns everyone, the presence of obscurantism, bigotry and religious fanaticism in our life, which change it every day." The film participated in Un Certain Regard, one of the official sections of the Cannes Film Festival. Kirill Serebrennikov is a famous Russian theater and film director. His film Playing the Victim was the Grand Prize winner at the Rome Film Festival in 2006, while in 2012 his film Betrayal was nominated for the Golden Lion at the Venice Film Festival. His play The Idiots, based on motifs from Lars von Trier's film, was staged at the Avignon Festival in 2015. His other play, Dead Souls, was performed in Avignon in 2016.